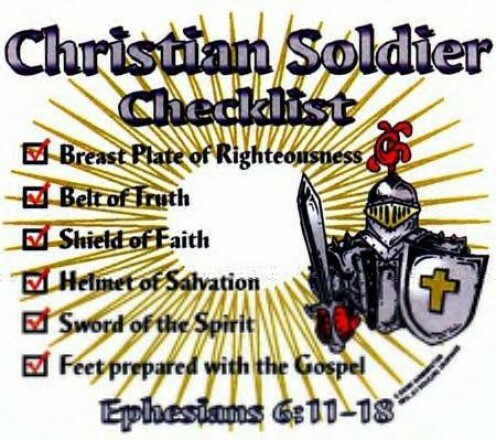 The first step in becoming a mighty warrior for Jesus is to understand the battle for the souls of men can be fought either in the physical realm or the spiritual realm. Here is a quick lesson, Satan wants to fight you in the physical realm, with your 5 senses: Taste, Sight, Touch, Smelling and Hearing. If you fight Satan here you will lose. When I say lose, I don’t mean most of the time, I want you to hear me, you will lose every time. Jesus’ victory completely destroyed the works of the Devil but it was a spiritual victory. We must remember whenever Jesus fought Satan or his demons He did so in the Spirit. Using His authority and the word of God. Step one in your training is to imitate Jesus, and by that, I mean, fight Satan only in the spiritual realm. How is this done you might ask? Your weapons are not carnal (physical) but spiritual. This post is not going to get into detail about the spiritual weapons but I want to give you the best thing I have found for starting each day. I gird my loins with the belt of truth, I shod my feet with the Gospel of peace, I put on the helmet of salvation, the breastplate of righteousness, I taken in my hand the shield of faith, which will block every fiery arrow Satan shots at me and in the other hand, I grab the sword of the Spirit which is the word of God. I do this in the name of Jesus, Amen. This simple exercise helps you in two ways; First, it will help you concentrate on the spiritual, first thing in the morning. Second, it will properly dress you for the battle each day. Remember God is no respecter of persons, if it works for me, it will work for you. I pray you will take your first step to become the warrior Jesus needs you to be. In the next few weeks I am going to write about something the church is lacking. Mighty men, David had them, the early church had them, why don’t we have them? Body of Christ needs to grap a towel. The greatest among the body of Christ is the servant. This life is not all about doing, but it is more about submitting to the Holy Spirit and His purpose. Let me go on the record as saying, this is not the line most believers, including myself usually stand in. I find myself asking God to use me, He shows me a need, I (through my human reasoning) determine it is “a little below” me and I go the other way. This seems like an easy lesson to learn but it goes against every thing I have learned about life. God’s ways are not our ways, neither are God’s thoughts like our thoughts. 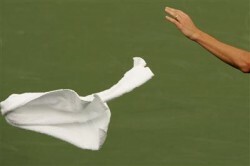 My challenge to you and me this year, humble yourself, grab a towel every chance you get. Think about what Jesus was wiping off their feet. If you have ever worn open toe sandals you know how nasty your feet can smell and look. Now add to that image dusty streets, live animals (which produce piles of processed food) there is no telling what else made it between their toes. Remember also how humbling it must have been to have their Master insist on washing that off. You know they had to be thinking, “Jesus, if I knew you were going to be doing this I would not have walked where I walked.” Isn’t that how most people live their lives? When someone comes to “serve” them they either don’t let them help, or are embarrassed about the mess they are in. I see no where in the Bible where Jesus talks about the mess He washed off. The only thing we need to know is, He did it. When God calls you to “wash the feet” He is not calling you to remember or remind them, He is calling you to wash them. When you see someone walking through a mess and the Holy Spirit calls you to “clean their feet”, do it as Jesus did. Humble yourself before them and wash the world off of them. The other important lesson here is, these were followers of Christ, your brothers and sisters in the Lord. Here is my nickels’ worth of free advice, don’t grab your towel and start washing feet. Wait on God to show you someone in Christ that has gotten a little too much of the world on them. They are mostly clean, but not all, grab your towel and get to washing. Wash off the discouragement, the failure, the loneliness, the emptiness etc. Anything you find, wash with the towel. You may be thinking, “How can I wash that off their feet?” I am not talking about a natural foot washing, I am talking about a spiritual foot washing. 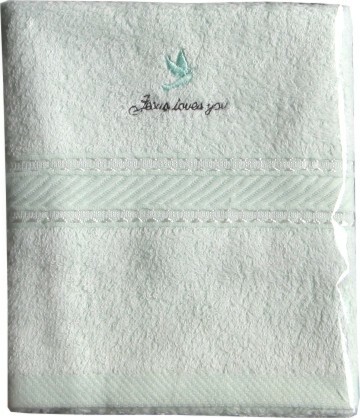 Here are some different “towels” you might use: love, hope, faith, joy, encouragement, humor, word of God, etc. Pray that Jesus would lead you and show you which towel to grab, but grab a towel and get to work. God has shown me people in my life to encourage. So that is the towel I am grabbing right now. I am going to be an encouragement to the body, specifically, the brothers in Christ God knows that need encouraging. Again, I want to remind you, God is not a respecter of persons, so if He shows me someone, He will show you someone. I want to “encourage” you. grab a towel and wait on the Lord. He will show you someone in your life that needs a good foot washing. How can Haiti go from Hell on Earth, to Heaven on Earth? One of the great things about salvation is we are totally forgiven. What ever we do or have ever done is completely and totally paid for. (That my friends is Good News!) This is what we or at least what I do as a believer, I continually remind myself when and where I messed up. Paul taught us in Philippians how to deal with the past, forget about it…good, bad, whatever you have done in the past is just that…the past. Concentrate instead on the present, Carpe Diem. What a simple statement to say but in practice, I find it a lot harder to walk out. This is how I overcome my past, I remember all that Jesus Christ did for me in His life. He conquered Satan himself and told me, His victory, is my victory. I believe, the best way to honor Jesus is to accept that He did it all for me (or you) and I remind myself I don’t get any extra points reliving all of the mistakes in my life. So I don’t, when a stupid thought from the past comes in, I simply thank Jesus for taking care of that for me, and I move on. Who the Son has set free, is free indeed, believing that is freedom! Again, what happened in Haiti, happened because someone in Haiti or maybe even the whole country, invited Satan there as an honored guest, this invitation was delivered through Voodoo or maybe simply through unbelief in God. Remember Satan has to have an invitation, (1 Peter 5:8) and being the murderous thug he is, he took their invitation, waited until the time was right and the rest is now history. Regardless of what you believe, it is now time to forget what is behind and press on to those things which are ahead. The body of Christ is there on the ground helping to comfort, protect and rebuild. It will not happen without effort and prayer. You need to be helping or praying or both. Haiti needs help, they do not need our righteous judgement or condemnation. They need to see, feel, taste, smell and hear the love of Jesus. They are receiving all of that right now, pray they will embrace Jesus, bind up Satan and cast him out of their country. (James 4:7) If they can, God will show us what heaven on Earth looks like, because I believe, if you have seen the pictures coming out of Haiti now, we know what Hell on Earth looks like. So, if God did not judge Haiti. how could this have happened? Again, Satan comes to steal, kill and destroy (John 10:10) and that is exactly what happened and is continuing to happen there. Samaritan’s Purse– lead by Franklin Graham or the American Red Cross, I know there are many other places/charities to give, but my point is, if you can not go, help those that can. So what does this have to do with Haiti? Satan can only destroy where he has been invited in. Satan goes about like a roaring lion seeking whom he may devour. (1 Peter 5:8) He can not devour at will, he has to have an invitation. Enter Voodoo, do you think it is a coincidence that Voodoo has such a strong hold in Haiti? This is nothing more than a door for Satan to walk through. Pray for the people of Haiti, but pray that the Truth will come and set the people free. I just wanted to give a shout out to the New Orleans Saints. They played a great game tonight shutting down a very powerful Arizona Cardinals team. 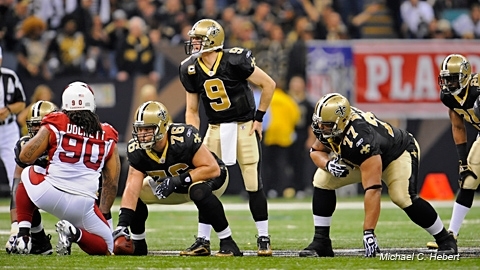 Because we are located in Louisiana, we can’t help but say, “Who Dat thinkin they can beat them Saints?” Hope Coach Sean Payton and his team, gets to play Feburary 7th in Miami. David was living his life and doing what he was told. He did not leave his house thinking, “Today my whole life changes”. His father gave him a job to do and he did it. God uses people while they are going about their life. I have heard of people” staying in” and praying for God to use them. If we are God’s hands, feet, mouth etc. what is God going to do with someone shut in, “begging” to be “used of God”? Never give your problems, challenges, enemy etc. the upper hand. Find a name/label that is easily defeated and attach it to your opponent. Elevate your position in God above your circumstances. Take action, trusting you and God can get it done. David knew where he stood with God and answered Saul by explaining how he killed lion and bear and this uncircumcised Philistine was nothing to God. When someone “speaks” something over you it is your job to come against it with words. I know that sounds different but read Isaiah 54:17 No weapon formed against you shall prosper and every tongue that rises against you in judgement you shall condemn… This is key when someone speaks negatively over you, CONDEMN IT. I say something like, “I bind that up in Jesus’ name and cast it out of my life.” Maybe a little over the top, but I would try it first before you discard it. God is a God of action. James 1:22 is an action scripture, But be doers of the word and not hearers only deceiving yourselves. Do the word of God, believe in its power and it will open powerful doors for you. David acted on his belief that God’s people were superior to anyone else. He took action, and the story, every time it is told, glorifies God. Continue in your walk with God and into His word. Remember Jesus is the Word and every time you open His Word you are getting closer to Him.